Shift happens 101: Just ask. – Fancy Nancy says…. What a difference a day makes! One minute I’m thinking I will have pack up 5000+ rare books, move them to my house, then figure out to sell about 5000+ rare books, ephemera items like Playbills from the turn of the century and beyond, prints ad infinitum and for the rest of my natural life. Just a few days ago I was doing my usual research online. Learning about pricing, history, background, what the book is about, looking for images that were the same as the book I had, when I stumbled upon an auction house in Ithaca, NY that will help me get the job done! What I didn’t want to do was the wrong thing and I thought I had to research every book myself and try to sell them online. In the process of my research I found help. Help is what I wanted. Help is what I asked for and help is what I got. After a lengthy phone interview to make sure that I was not completely breaking every family generational edict of what not to do followed by a reference checkout, I decided to get them to help me. What a relief! I feel as if I have been let out of jail. Time to let others love and care for my grandfather’s collection. My role has now shifted from being the beast of burden trying to sell my grandfather’s books on my own, to becoming the person who gets to uncover the all- important provenance, family stories around this collection and signatures . The good news: the scoping out work has already been done by my mother and my grandfather. Thank you!! They left clues. Their notes have notes. So expect an update from time to time. 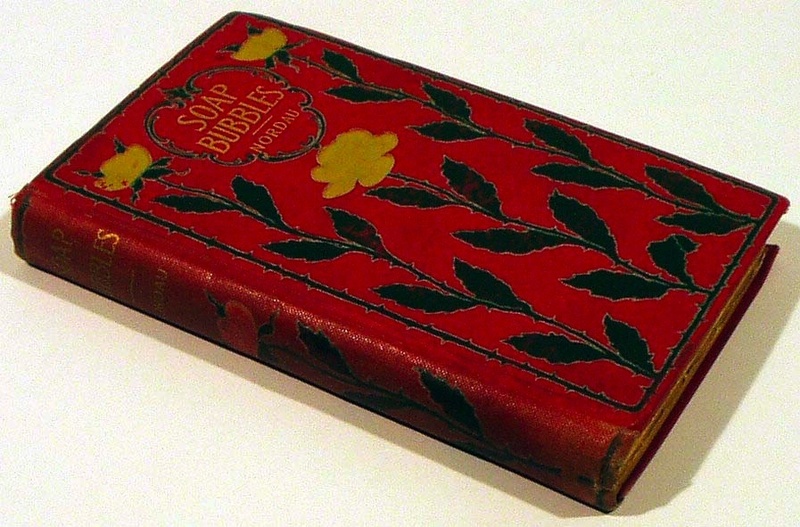 Rare books are becoming extinct and dear and the market is on the upswing. Don’t worry I will clue you in about the where and the when. This one is in my bookcase at home; look how pretty it is. Small in the hand like a lovely little accessory. The top of the pages are gilt-edged with real gold. And inside are stories with titles like: The Altar Painting A love tragedy of an Italian Artist. A thing of beauty to behold. And probably not read. The book is from 1896.
Who makes books like this today? So pretty it's an accessory! And so what’s my lesson? What’s the big shift that happened? Ask. Just ask for what I need in my life. Presto, I got it! With a little help from the internets. Posted in Uncategorized and tagged art, auction, books, collectible, collection, ephemera, family, opportunity, playbills, prints, rare, wealth. Bookmark the permalink. Thank you! Your blog is pretty amazing. glad you showed up. Shift Happens 101: Advice. Wise men don’t need it. Fools won’t heed it.